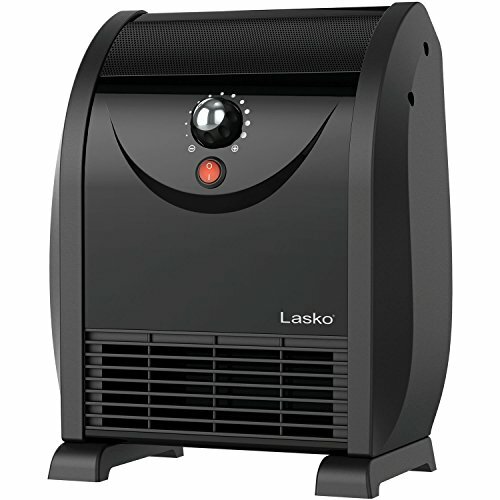 For consistent heat output to maintain your comfort zone and save energy, choose Lasko automatic airflow heater. This space Saving heater adjusts its fan-forced heat output as the room temperature changes - no more hot and cold spots! once the room as reaches the desired room temperature, the heater cycles between high (1500) and low (750) wattage to maintain your comfort level. The self-adjusting wattage maximizes energy savings, while maintaining continuous floor-level warmth for constant comfort. This compact unit can even be placed at the wall and out of your way. Safety features include stay-cool exterior, automatic overheat protection, and "tip-over" auto shut-off.